The hottest new thing on the street is a virtual reality experience that makes crack cocaine look like cotton candy. Only one side effect: it’s lethal. The hottest new thing on the street isn’t a drug — it’s a virtual reality experience that makes crack cocaine look like cotton candy. There is, however, one side-effect: it’s lethal. When the One State contracts the Ash Corporation to produce Virtual-e, a highly addictive entertainment intended to reduce global population levels, Calamity Kid and his crew are tasked to stop its production in North America. But how far can the Underground heroes get when battling the combined forces of global government and mega-corporation? 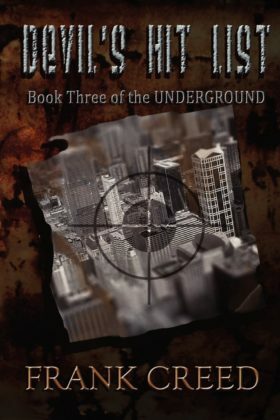 Book 3 of The Underground series.